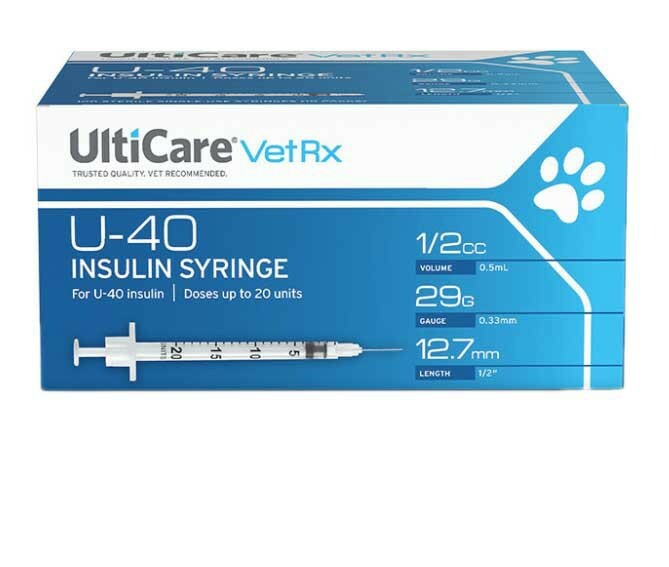 UltiCare VetRx U-40 Insulin Syringe is ideal when your dog, cat, or other pet needs U-40 insulin such as Vetsulin or ProZinc. 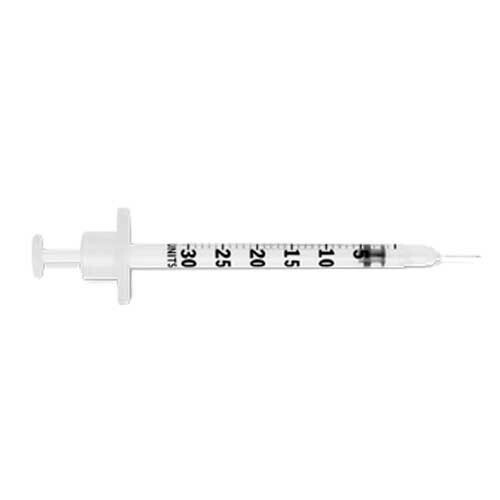 The syringe is designed for precision with a thin needle. The thin needle allows for quick and painless injections. Also, the syringe barrel is clearly marked and the plunger has a black tip. This combination makes measuring the correct dose easy. 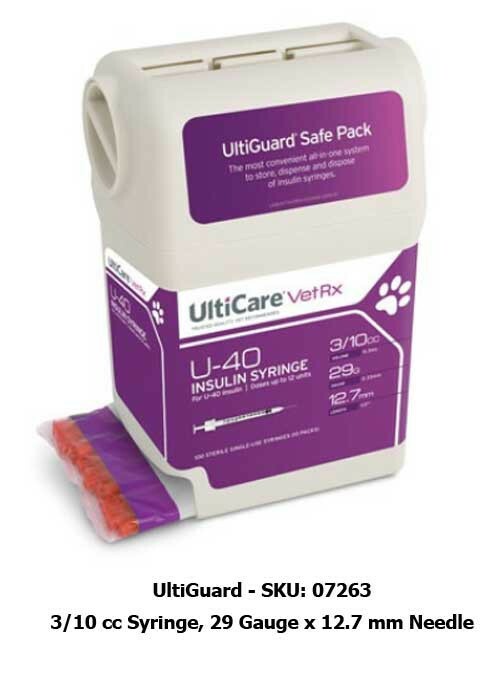 The UltiGuard packaging is a convenient option that improves safety in your home. 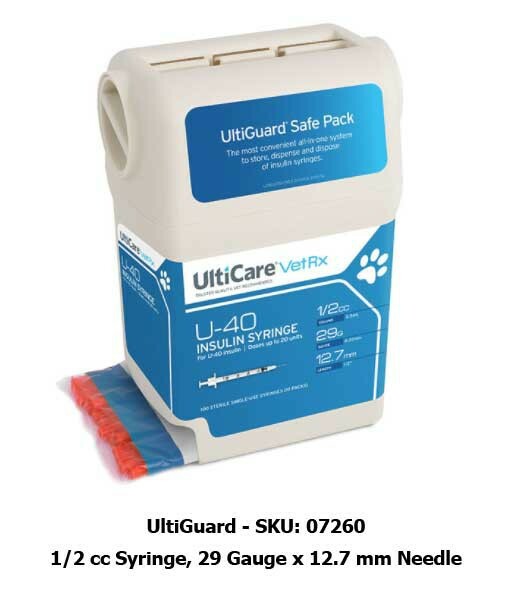 The UltiGuard comes with a compartment for you to dispose of used needles without the need for a separate sharps disposable container. This compartment also helps to prevent needle stick from causing infections in you or your loved ones. 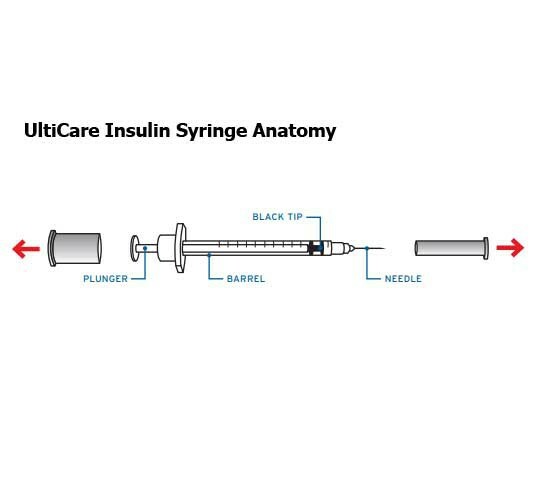 If the prescription is for U-100 Insulin, you will need the UltiCare U-100 Syringe. 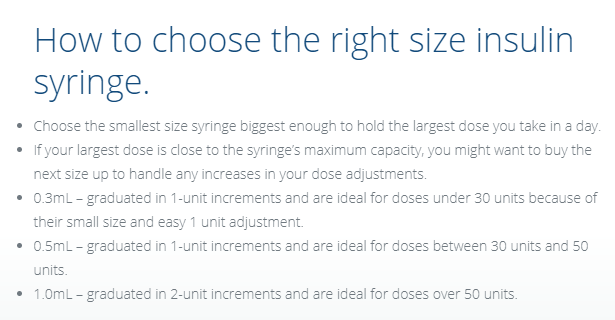 The U-40 and U-100 syringes are not interchangeable. I like the quick delivery and the packaging. The syringes are fine, except that once in a while the black plunger comes off and I have to push hard to re-connect it. Other than that I use them twice a day to inject insulin to my little Silky Terrier. The plungers on these syringes are hard to push down and not always smooth. 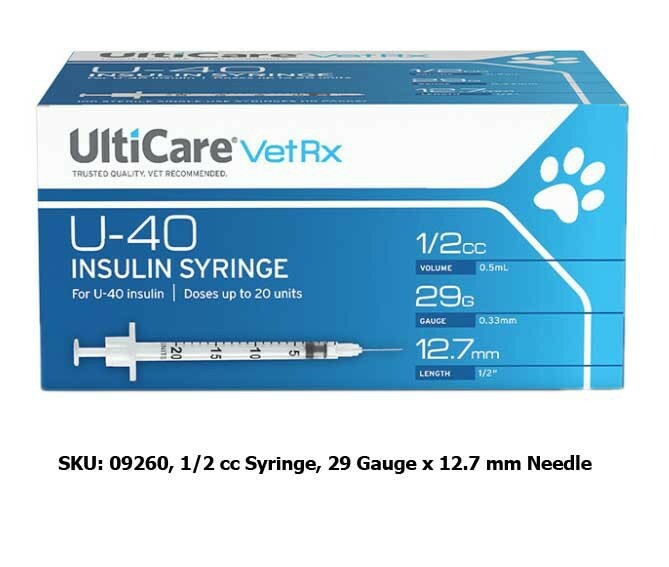 I've been buying the same brand and model from my Veterinarian for about a year and haven't had this problem with those syringes. Everything is identical except the ones I got from VitalityMedical are labeled "made in Korea". Because the plunger action isn't good, it makes injecting my cat more difficult. They price is better here but it's not worth the difficulty. I will buy them from my Vet, a trusted source. I tried to reach customer service at VitalityMedical twice and was on hold for 15 minutes both times before I gave up. 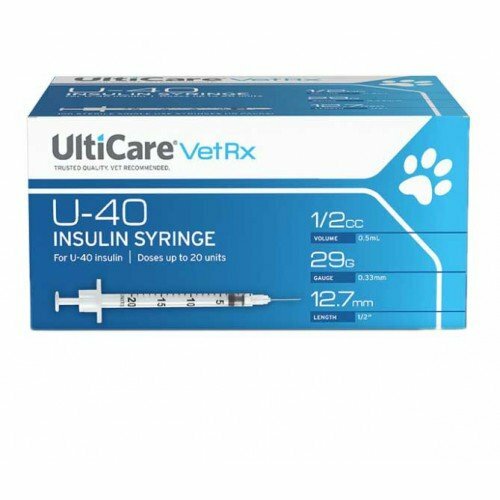 I hated the idea of injecting my cat with insulin. Convinced by my vet it needed to be done, these tiny syringes with super-fine needle make it easy. The kitty doesn't complain too much so I feel better about it. Quality item at a great price!